March 16th several of our friends joined us to volunteer at the Idaho Foodbank. This place has been helping thousands for decades and they make the most of all their resources. We sorted and repackaged 800 pounds of tomatoes for about and hour, then repackaged and labeled 800 pounds of spaghetti for an hour. It’s easy work, but needs to be done with care. We love that we can help others, stay active, and catch up with friends, and meet new people (like Betty) all at the same time! After the work was done, we were given a tour of their giant freezer and food storage facility. 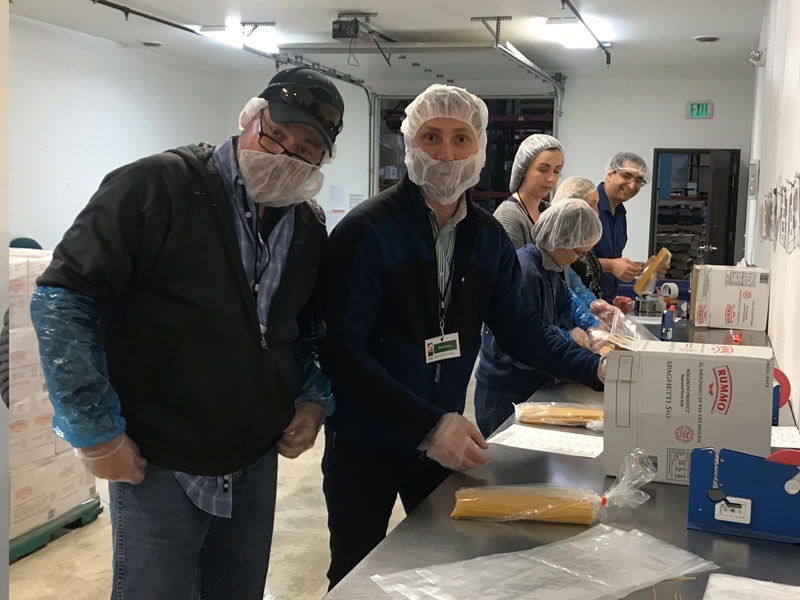 Did you know the Idaho Foodbank would have to hire 24 people to do the work that volunteers do for them? They really depend on the people who give their time. If you want to serve, go to their website at www.idahofoodbank.org and click Get Involved > Volunteer. There are options to go as an individual, as a group, during the day or in the evening. Volunteers as young as the age of 8 are welcome with an adult.